"They desire a better country, that is, a heavenly one. Therefore God is not ashamed to be called their God, for he has prepared for them a city" (Heb. 11:16). The world says, “You can’t go home again.” But as Christians, we look forward to our future home: heaven. Theologian Donald Bloesch suggests, “Our greatest affliction is not anxiety, or even guilt, but rather home-sickness—a nostalgia or ineradicable yearning to be a home with God” (Theological Notebook, p. 183). C. S. Lewis wrote, “Our Father refreshes us on the journey with some pleasant inns, but will not encourage us to mistake them for our home” (The Problem of Pain, p. 115). When a Christian dies, he doesn’t leave home; he goes home. When you hear the word “home,” what comes to mind? Randy Alcorn writes, “When it comes to our eternal home, we often fail to think biblically in two ways. First, we imagine we won’t be fully human and our ultimate goal won’t be physical and earthly. Second, we imagine that this world as it now is, under the Curse, is our ultimate home” (Heaven, p. 456). Read Luke 6:21; 15:10. “Christians faced with terminal illness or imminent death often feel they’re pointed, thinking of all they’ll miss when they leave. But the truth is, the real party is underway at home—precisely where they’re going. They’re not the ones missing the party; those of us left behind are. (Fortunately, if we know Jesus, we’ll get there eventually. )” (Heaven, p. 457). How is heaven like a party? 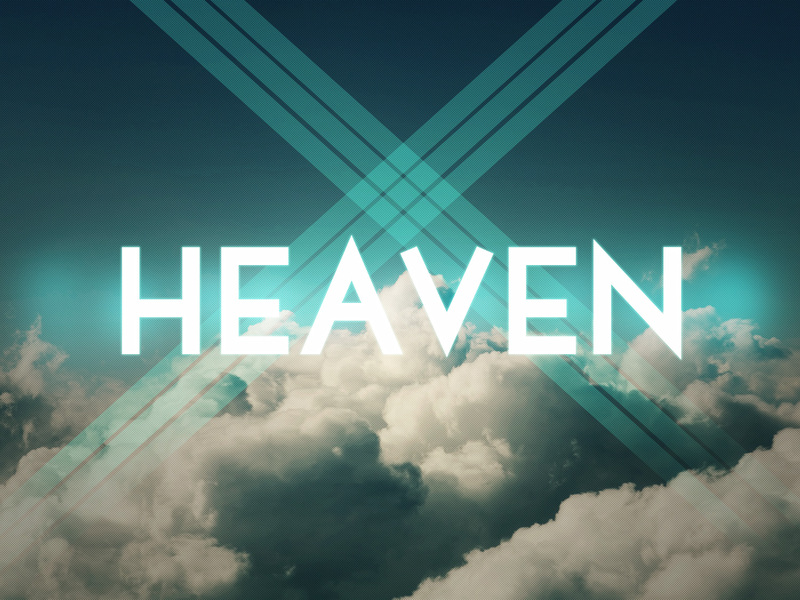 Anticipating heaven doesn’t eliminate pain, but it lessons it and puts it in perspective. Read Luke 6:22-23; Col. 1:24; 1 Peter 4:13. How is meditating on heaven a great pain reliever? Read Isa. 25:7-8. Death is merely the doorway to eternal life. Just before he was hanged by the Nazis, Dietrich Bonhoeffer prayed aloud, “Oh, God, this is the end; but for me it is just the beginning.” How does the hope of heaven help us against the enemy of death? Missionary C. T. Studd said, “Only one life, ‘twill soon be past; only what’s done for Christ will last.” What will last for eternity? Read Phil. 3:13-14; Heb. 12:28; 1 John 3:3. How can living in light of heaven affect our present lives? When you’re baking, it’s important to follow the recipe. Once when my wife was making chocolate chip cookies, she didn’t have any baking soda, so she added baking powder instead. The cookies were alright, but they weren’t as good as they could have been. Of course, not following a recipe can lead to more disastrous results—like when salt is mistakenly added instead of sugar. 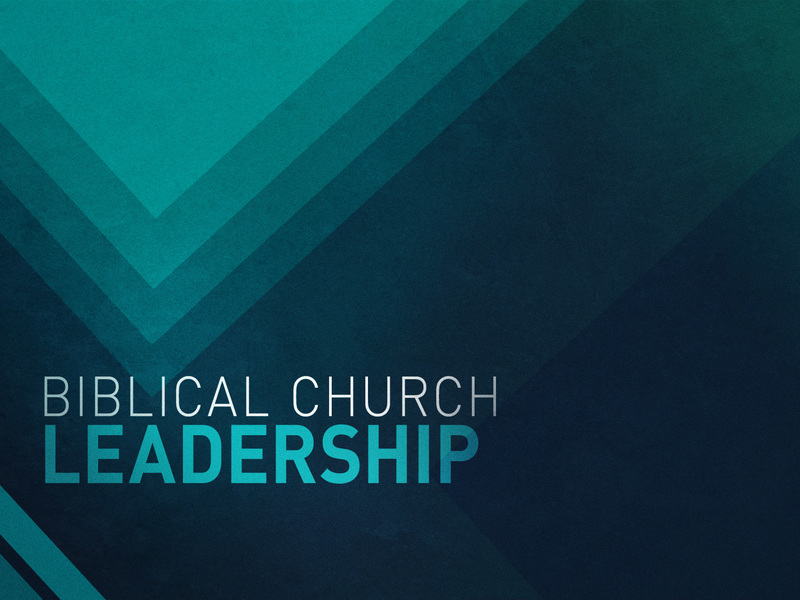 In the Bible (specifically the NT), we find God’s instructions for church leadership. These instructions are sort of like a recipe. In many churches, God’s recipe for leadership is not followed. Not following God’s recipe for church leadership might not result in disaster for a church (though sometimes it can). But, as Christians, we should strive to understand God’s instructions for leadership. 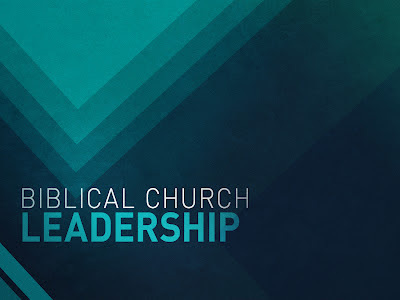 We shouldn’t merely want church leadership, but biblical church leadership. In the NT, three words are used to describe church leaders. The first word is “elder” (presbyteros). Church leaders are to be men of spiritual maturity. “Elder” is the predominate NT term for local church leaders. The qualifications for elders can be found in 1 Timothy 3:1-7 and Titus 1:6-9. “The list of qualities is not intended to be exhaustive but pictures a person of mature Christian character, one whose faith has had tangible impact on his behavior” (ESV Study Bible, p. 2328). In summary, a church leader is called an elder who oversees and pastors a church. “Although some have argued that different forms of church government are evident in the New Testament, a survey of the relevant texts shows the opposite to be true: there is quite a consistent pattern of plural elders as the main governing group in New Testament churches” (Wayne Grudem, Systematic Theology, p. 912). “And when [Paul and Barnabas] had appointed elders for them in every church, with prayer and fasting they committed them to the Lord in whom they had believed” (Acts 14:23). “This is why I left you in Crete, so that you might put what remained into order, and appoint elders in every town as I directed you” (Titus 1:5). There are many benefits to shared leadership: (1) weaknesses are balanced; (2) the work load is lightened; and (3) accountability is provided. The division between clergy and laity doesn’t exist in the NT. An elder does not necessarily need to be ordained or have a seminary degree. At the same time, choosing elders is a very serious responsibility of the church: “Do not be hasty in the laying on of hands” (1 Tim. 5:22). An elder is to act as a shepherd of the church. He shepherds the flock of God in four ways. 1. An elder leads the flock. “So I exhort the elders among you, …shepherd the flock of God that is among you, exercising oversight, not under compulsion, but willingly, as God would have you; not for shameful gain, but eagerly; not domineering over those in your charge, but being examples to the flock. And when the chief Shepherd appears, you will receive the unfading crown of glory” (1 Peter 5:1-4). 2. An elder feeds the flock. 3. An elder protects the flock. “Pay careful attention to yourselves and to all the flock, in which the Holy Spirit has made you overseers, to care for the church of God, which he obtained with his own blood. I know that after my departure fierce wolves will come in among you, not sparing the flock; and from among your own selves will arise men speaking twisted things, to draw away the disciples after them. Therefore be alert…. (Acts 20:28-31a; cf. Titus 1:9). 4. An elder loves the flock. “Is anyone among you sick? Let him call for the elders of the church, and let them pray over him, anointing him with oil in the name of the Lord” (James 5:14). If the sheep know they are loved by their shepherds, they will be more likely to follow. “Although the elders lead and are officially responsible for the spiritual oversight of the whole church, they are not the total ministry of the church. They are not the ministers. Ministry is the work of the whole church. Ministry is not the work of one person or even one group of people” (Strauch, Biblical Eldership, p. 29). Every Christian is to consider himself or herself a minister. “And [Christ] gave … the shepherds and teachers, to equip the saints for the work of ministry” (Eph. 4:11-12). We play different roles and possess different gifts, but we are all to work together. This is God’s recipe for the local church. "For he himself is our peace, who has made us both one and has broken down in his flesh the dividing wall of hostility by abolishing the law of commandments expressed in ordinances, that he might create in himself one new man in place of the two, so making peace, and might reconcile us both to God in one body through the cross, thereby killing the hostility. And he came and preached peace to you who were far off and peace to those who were near. For through him we both have access in one Spirit to the Father" (2:14-18). “[Christ] himself is our peace” (v. 14a). He is the “Prince of Peace” (Isa. 9:6; cf. Micah 5:5). (The word “peace” is found four times in verse 14-18.) “Peace” is more than the absence of “hostility” (vv. 14, 16). “Peace” could be defined as “harmonious friendship.” Christ has created two kinds of peace. 1. Christ has made vertical peace. This is peace with God. The need for reconciliation with God began when Adam and Eve sinned in the Garden of Eden. “They heard the sound of the LORD God walking in the garden in the cool of the day, and the man and his wife hid themselves from the presence of the LORD God among the trees of the garden” (Gen. 3:8). Paul describes the message of salvation as “the gospel of peace” (Eph. 6:15). 2. Christ has made horizontal peace. This is peace within the church. “[Christ] has made us both [Jews and Gentiles] one and has broken down in his flesh the dividing wall of hostility by abolishing the law of commandments expressed in ordinances” (vv. 14b-15a). However, we won’t enjoy complete peace with one another in this life. Now we must be “eager to maintain the unity of the Spirit in the bond of peace” (Eph. 4:3). What was the “dividing wall of hostility” that Christ broke down? There was a wall around the temple in Jerusalem that prevented the Gentiles from going beyond the Court of the Gentiles. There were inscriptions on the wall basically saying to the Gentiles, “No trespassing!” One of these inscriptions was unearthed in 1871. It reads: “No foreigner is to enter within the balustrade and embankment around the sanctuary. Whoever is caught will have himself to blame for his death which follows” (James Montgomery Boice, Ephesians: An Expositional Commentary, p. 83). A riot once broke out when the Jews thought Paul had taken a Gentile Christian named Trophimus into the temple enclosure with him (Acts 21:27-36). However, the “dividing wall of hostility” probably refers to the Mosaic Law. It “included many commandments that served to separate Israel from the other nations. Thus the law was a ‘dividing wall’ which Christ has abolished or rendered powerless both by fulfilling it and by removing believers from the law’s condemnation” (ESV Study Bible, p. 2265). “That he might created in himself one new man in place of the two, so making peace, and might reconcile us both to God in one body through the cross, thereby killing the hostility” (vv. 15b-16). A “new man” is “a new human race under the second Adam (Christ), in whose image the Christian is re-created (1 Cor. 15:45, 49; cf. Eph. 4:24)” (ESV Study Bible, p. 2265). The church is a new race of people (a union of Jews and Gentiles). We are one with every other believer regardless of any distinctions. “Through [Christ] we both have access in one Spirit to the Father” (v. 18). “This does not mean ‘we both alike have access’ but rather ‘we both together have access’” (Harold Hoehner, Ephesians: An Exegetical Commentary, p. 388). This new access to the Father was pictured by the tearing of the temple veil, which was a barrier between God and man. “Behold, the curtain of the temple was torn in two, from top to bottom” (Matt. 27:51). The veil was six inches thick. And notice that the veil was torn “from top to bottom.” It was torn by God. He is the one responsible for reconciliation (both vertically and horizontally). We are have one Father, and we are brothers and sisters in one great family. "Then I saw a new heaven and a new earth, for the first heaven and the first earth had passed away, and the sea was no more. And I saw the holy city, new Jerusalem, coming down out of heaven from God, prepared as a bride adorned for her husband" (Rev. 21:1-2). In eternity, heaven and earth will no longer be separated as they are now. As the hymn “This Is My Father’s World," says, “Jesus who died shall be satisfied, and earth and heaven be one.” The new earth is mentioned in Isa. 65:17; 66:22; 2 Peter 3:13; Rev. 21:1. According to the ESV Study Bible, “‘New’ could mean ‘newly created’ but probably means ‘renewed, made new’” (p. 2423). Randy Alcorn writes, “We are homesick for Eden. We’re nostalgic for what is implanted in our hearts. It’s built into us, perhaps even at a genetic level. We long for what the first man and woman once enjoyed—a perfect and beautiful Earth with free and untainted relationships with God, each other, animals, and our environment. Every attempt at human progress has been an attempt to overcome what was lost in the Fall” (Heaven, p. 77). What is mankind doing to overcome what was lost in the fall? In the Bible, there are three phases of earth’s history: (1) humanity’s past on the original earth (Gen. 1-2), (2) our present experience on the fallen earth (Gen. 3-Rev. 20), and (3) our promised future on the new earth (Rev. 21-22). Martyn Lloyd-Jones said, “Everything will be glorified, even nature itself. And that seems to me to be the biblical teaching about the eternal estate: that what we call heaven is life in this perfect world as God intended humanity to live it. When he put Adam in Paradise at the beginning, Adam fell, and all fell with him, but men and women are meant to live in the body, and will live in a glorified body in a glorified world, and God will be with them.” Read Gen. 3:17-19; Rom. 8:18-23. How was the earth was damaged by mankind’s sin. Read Luke 23:43; 2 Cor. 12:3; Rev. 2:7. Heaven is called “paradise.” Paradise has been lost, but it will be regained. Rev. 22:3 says, “No longer will there be anything accursed.” The hymn “Joy to the World” is theologically correct: “No more let sins and sorrows grow nor thorns infest the ground; He comes to make His blessings flow far as the curse is found.” God will lift the curse, not only morally (in terms of sins) and psychologically (in terms of sorrows), but also physically (in terms of thorns in the ground). According to Rev. 21-22, how will the new earth be similar to the original paradise? Read 2 Peter 3:11-13. Since the old earth will pass away, “what sort of people ought [we] to be”? The older we get, the more we like to remember the past. Usually, we remember the good times and forget the bad times. (The “good old days” weren’t as good as some people seem to think.) But twice in Ephesians 2, Paul wanted the Ephesians to remember the bad times (vv. 1-3, 11-12). The Christians in the church at Ephesus were primarily Gentiles (v. 11). Before Paul writes about how God has united Jews and Gentiles in the body of Christ, he wants them to “remember” (vv. 11, 12) their former lives (“at one time,” v. 11; “at that time,” v. 12). As Gentiles, the Ephesians were “called ‘the uncircumcision’ by which is called the circumcision” (v. 11). “The circumcision” refers to the Jews. Circumcision was a physical sign of Israel’s covenant with the Lord (Gen. 17:9-14). “To be called ‘uncircumcised’ was a Jewish term of derision” (ESV Study Bible, p. 2265). But circumcision (like any other human work or ritual) is unable to save us (cf. vv. 8-9). Paul says circumcision “is made in the flesh by hands” (v. 11). “Made…by hands” is in contrast to the work of God. Circumcision is an external change performed by humans. In order to be saved, we need an internal change performed by God, a circumcision of the heart (cf. Rom. 2:29; Phil. 3:2-3; Col. 2:11). “The LORD your God will circumcise your heart and the heart of your offspring, so that you will love the LORD your God with all your heart and with all your soul, that you may live” (Deut. 30:6; cf. 10:16; Jer. 4:4). In verse 12, Paul lists several privileges that the Ephesians didn’t enjoy prior to putting their faith in Christ. The Ephesians were once “separated from Christ, alienated from the commonwealth of Israel and strangers to the covenants of promise, having no hope and without God in the world” (v. 12). First, they were without promises. They were “separated from Christ” because they were unaware of the promises of the Messiah (the coming King). They were “strangers to the covenants of promise” because these promises were given to Israel. The three major covenants of promise were the (1) Abrahamic covenant (Gen. 12:1-4), (2) the Davidic covenant (2 Sam. 7:12-17) and (3) the new covenant (Jer. 31:31-34). Basically, God’s plan of salvation through Christ was revealed to and given through the Jews, not the Gentiles (though the Jews should have shared the good news with the Gentiles). This is why Jesus said to the Samaritan woman, “Salvation is from the Jews” (John 4:22; cf. Rom. 9:4-5). Second, they were without hope. If a person does not have hope, the deeper he thinks, the more depressed he becomes. Third, they were without God. The Gentiles believed in many gods, but they did not believe in the one true God. To the Gentiles, he was the “unknown god” (Acts 17:23). Without God and his promises, there is no hope. “The blood of Christ” has achieved reconciliation. 1. The blood of Christ has reconciled us to God. The need for reconciliation between God and man was taught by Jesus in the parable of the prodigal son (Luke 15:11-32). The prodigal son left his father and traveled to a “far country” (v. 13). Eventually, the son repented and returned home, expecting to live as a servant, not a son. “But while he was still a long way off, his father saw him and felt compassion, and ran and embraced and kissed him” (v. 20). Though we have sinned against God, he wants us to be reconciled to him. He proved this by the sacrifice of his Son. 2. The blood of Christ has reconciled us to one another. Christ died not only to save individuals, but to unite individuals in Christ. Jews and Gentiles are now one in the body of Christ, the church. Ephesians 2:11-22 is “perhaps the most significant ecclesiological text in the New Testament” (Klyne Snodgrass, Ephesians, p. 123). God’s plan is to restore harmony to this world. "And I heard a loud voice from the throne saying, 'Behold, the dwelling place of God is with man. He will dwell with them, and they will be his people, and God himself will be with them as their God'” (Rev. 21:3). Jesus promised his disciples, “I will come again and will take you to myself, that where I am you may be also” (John 14:3). Living with God will be our greatest joy in heaven. As John Milton put it, “Thy presence makes our Paradise, and where Thou art is Heaven.” Heaven is more about a Person (God) than a place. In heaven, not only will we be with God but also with all the saints of all time. Other than Jesus and family members, who are the first people you would like to meet in heaven? Read Ps. 27:4; 63:1; 73:25. Our deepest longing should be to live in God’s presence. Randy Alcorn writes, “Going to heaven without God would be like a bride going on her honeymoon without her groom” (Heaven, p. 187). Why would heaven not be heaven without God? Rev. 22:4 says that in heaven we will “see [God’s] face.” John Donne said, “No man ever saw God and lived. And yet, I shall not live till I see God; and when I have seen him, I shall never die.” Imagine seeing God face to face. What do you think it will be like? When asked if we would recognize friends in heaven, George MacDonald responded, “Shall we be greater fools in Paradise than we are here?” (quoted in Death and the Life Hereafter, p. 65). Read Isa. 65:17. Some Christians believe that this verse proves that in eternity we won’t remember our earthly lives. How does this view not agree with other portions of Scripture? Missionary Amy Carmichael had strong convictions on this question: “Shall we know one another in heaven? Shall we love and remember? I do not think anyone need wonder about this or doubt for a single moment. We are never told we shall, because, I expect, it was not necessary to say anything about this which our own hearts tell us. We do not need words. For if we think for a minute, we know. Would you be yourself if you did not love and remember? … We are told that we shall be like our Lord Jesus. Surely this does not mean in holiness only, but in everything; and does not He know and love and remember? He would not be Himself if He did not, and we should not be ourselves if we did not” (quoted in Heaven, pp. 346-47). In heaven, our minds will be clearer, not foggier. How would your experience of heaven be altered if your memory was erased? Read Matt. 22:23-30. Jesus said, “In the resurrection they neither marry nor are given in marriage” (v. 30). “This teaching might at first seem discouraging to married couples who are deeply in love with each other in this life, but surely people will know their loved ones in heaven, and the joy and love of close relationships in heaven will be more rather than less than it is here on earth” (ESV Study Bible, p. 1869). How will our relationships with one another change in heaven? It’s not true that there will be no family in heaven. On the contrary, there will be one great family. How should this truth affect our relationships with other Christians now? "For by grace you have been saved through faith. And this is not your own doing; it is the gift of God, not a result of works, so that no one may boast. For we are his workmanship, created in Christ Jesus for good works, which God prepared beforehand, that we should walk in them" (2:8-10). “By grace you have been saved” (v. 8a). “Although it could be translated ‘you have been saved’ (ASV, RSV, NASB, TEV, JB, NIV, NJB, NRSV), the translation ‘you are saved’ (AV, NEB) better conveys the continuing results of being saved. In other words, God, by his grace, initially saves, but by that same grace he keeps believers safe or saved from God’s wrath and from sin’s grip of death from which they are delivered” (Harold W. Hoehner, Ephesians: An Exegetical Commentary, p. 333). Salvation is by grace from start to finish. Salvation is received by grace and kept by grace. It’s a “gift.” It’s not dependent on human effort. And God will not ask for his gift to be returned. “If [salvation] is by grace, it is no longer on the basis of works; otherwise grace would no longer be grace” (Rom. 11:6). Salvation from God is always undeserved. You don’t deserve to receive it, and you don’t deserve to keep it. Salvation “is not your own doing; it is the gift of God, not a result of works, so that no one may boast” (vv. 8b-9). The word “this” probably refers to salvation by grace (not “faith”). It is “not [our] own doing” and it is “not a result of works.” “Faith itself cannot be a meritorious work; it is the response which receives what has already been done for us in Christ” (Peter T. O’Brien, The Letter to the Ephesians, p. 174). Because salvation is “the gift of God,” those who receive it cannot “boast.” “Far be it from me to boast except in the cross of our Lord Jesus Christ” (Gal. 6:14). “Let him who boasts, boast in the Lord” (1 Cor. 1:31). Does this mean that works are unimportant? No! Why is salvation “not a result of works”? “For we are [God’s] workmanship, created in Christ Jesus for good works, which God prepared beforehand, that we should walk in them” (v. 10). Salvation is not earned by God works, but it should result in good works. “If anyone is in Christ, he is a new creation” (2 Cor. 5:7; cf. Gal. 6:15). We now have the Spirit who gives us the desire to do good works (unlike the “flesh,” v. 3). “Walk by the Spirit, and you will not gratify the desires of the flesh. For the desires of the flesh are against the Spirit, and the desires of the Spirit are against the flesh, for they are opposed to each other, to keep you from doing the things you want to do” (Gal. 5:16-17; cf. Rom. 7:18-20). Having the desire to please God is an evidence of salvation. “God prepared beforehand” works for each one of us to do (cf. 1:4). “It is not doing a work for God but God doing a work in and through the believer” (Hoehner, Ephesians: An Exegetical Commentary, p. 349). We are to “walk” in good works. In other words, we are to have a lifestyle characterized by good works. There is a contrast between this “walk” and our former “walk” (vv. 1-3). Our new “walk” is the subject of chapters 4-6 (cf. 4:1, 17; 5:2, 8, 15). God can take the little we can do and use it to accomplish more than we can imagine. What works has God “prepared” for you?